Assessing preschool boards helps directors to know the talents, skills and passions of board members. 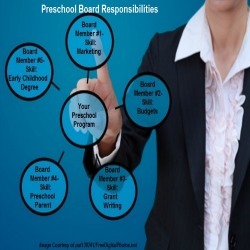 Your preschool board is made up of volunteers who have specific and diverse skills in the world! 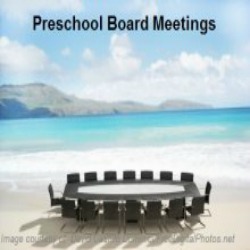 A preschool board is a governing board has a specific role in the preschool. Knowing their skills will help you to plan how they can best support your preschool program. Generally speaking, there are two stages, or types if you will, of boards. The first is an organizational board: one that is chosen when first establishing your program. 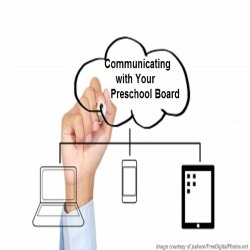 If your program has a preschool board in place already, you most likely still have your organizational board in place. However, once a program is established and up and running, you should switch your board over to what I refer to as an Operational Board. Assessing preschool boards appropriately requires us to know more about the board we have. Let's define both stages or types. An Organizational Board is one whose members are chosen based on their expertise of starting a business. The members will be selected based on their knowledge and skill in areas needed to establish a business. These skills or expertise may include knowledge in Labor Law, Finances, Insurance and Employee Benefits and General Law in addition to early childhood education. These members are the go to people to set up the policies and regulations required to run your program or ministry. An Operational Board is one that will oversee the program on a regular basis once the program is established. The members will be selected based on their knowledge of preschool programs, education, state regulations, finances and budgeting. It may also include parents who have children in the program. So, what type of board do you have in place now? Most likely, you have the original board that was put in place, or an Organizational Board. These members were instrumental in establishing your program. However, if your program is already established, this may not be the best selection for board members. For example, an attorney might not want to sit in on meetings where budgets, salaries and parent concerns are discussed. He or she may, however, agree to be available should you have any legal questions. At this point, you will need support in different areas such as: Licensing Inspection support; staff relations; program events; marketing and setting the budget. Most preschool programs never move from an organizational to an operational board model. What should your program do? Meet with the Chairperson of Your Board! Assessing preschool boards will require the knowledge of the head, or chairperson, of the boards in question. Set up a meeting with the Chair of your board with the agenda of discussing the current operational needs of your program. Have a list of supports you would like to see. I mentioned a few above. You may have more. Ask the chair if the members on the board have, to their knowledge, experience and a desire to take on any of those areas. You may both realize and discuss that it is time to change over the guard, so to speak. It may be time to bring in new members. If the Chair is aware that specific members no longer want to be on the board (because their expertise is no longer needed), discuss who might be a qualified candidate based on your needs. What Are the Skills and Passions of Your Board Members? 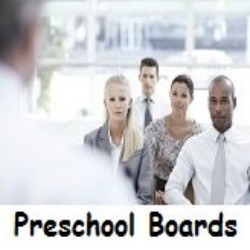 Educate yourself about the skills and passions of each of your preschool board members. This will prepare you better educated on how to work with the board, and the individual members, to work as a team to support your program. Knowing this information will help you to determine and possibly help assign board responsibilities. To learn more about assigning responsibilities, Click Here to go to my Preschool Boards Responsibilities article. 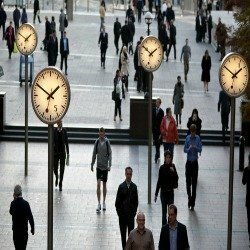 Here are some articles that you may be interested in!